The FizzBuzz test is an interview question designed to help filter out the 99.5% of programming job candidates who can't seem to program their way out of a wet paper bag. There are a lot of ways to write the FizzBuzz program. See for instance the one using clojure pattern matching. Today, I'd like to share with you the most elegant implementation of FizzBuzz I ever seen. It's elegant because it doesn't make use of any imperative constructs (like if statements), but only functional programming constructs (like infinite lazy sequences and function composition). This implementation was developed by Dierk König and Kevlin Henney presented a Haskell version of it - in his amazing talk Declarative Thinking, Declarative Practice. 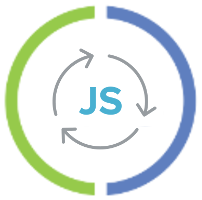 In this article, we are going to present an interactive version of Kevlin's code in clojure. Take a look at this marvel: no if statements - only 3 infinite lazy sequences and function composition. If you are a bit skeptic (yet) about the elegance of this implementation, you might want to read Dierk König's article: he explains in details the pragmatic advantages of his code. You probably wonder what is this choice function and why does max do when it receives 2 strings?